"Since they are going to remove Franco, I wanted to see it. It's morbid curiosity," says Antonio Nevado, one of thousands of Spaniards who have rushed to visit the late dictator's tomb before his remains are moved. 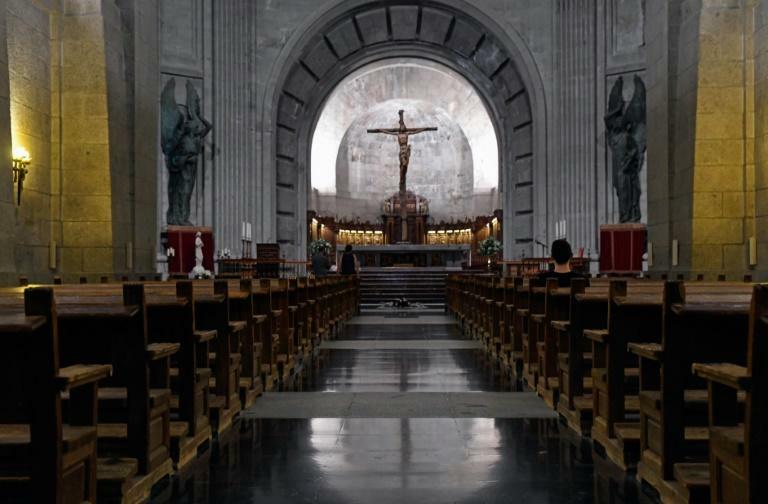 Francisco Franco, who ruled Spain with an iron fist from the end of the 1936-39 civil war until his death in 1975, is buried in an imposing basilica carved into a mountain-face just outside Madrid with a 150-metre (490-feet) cross towering over it. 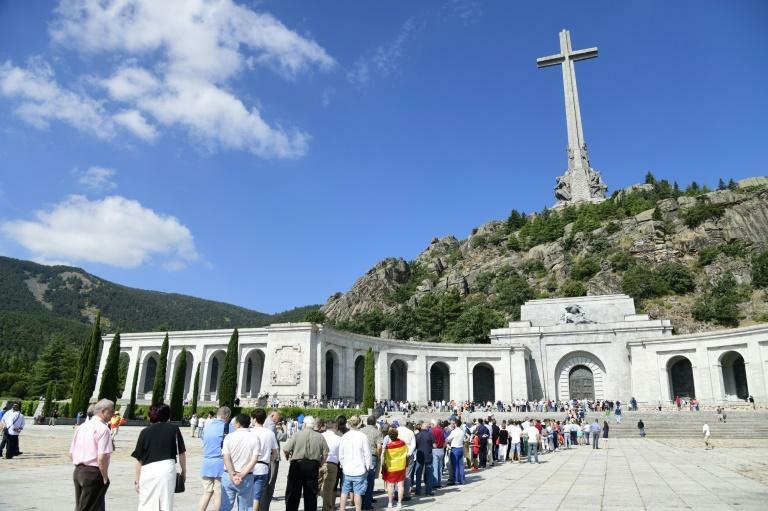 Visitor numbers to the site -- known as the Valley of the Fallen -- have soared since Spain's new Socialist government announced shortly after it came to power in June that it will remove Franco's remains from the basilica. Spain's national heritage agency that runs the monument said 38,269 people visited in July compared to 23,135 in June and 25,532 in July last year. Javier Botia, 40, and his partner Angeles Abellan, 42, two agricultural engineers from the southeastern region of Murcia, say they had long planned to visit the monument even though they did not "sympathise" with Franco and felt "now was the time". "This is history, it is part of our heritage, it's very impressive," says Botia as he stands on the basilica's vast esplanade and looks up at the giant granite and concrete cross, visible for kilometres (miles) around. "I feel conflicting emotions, because on the one hand it is a place that symbolises much suffering, but it also has a lot of history," Botia adds in reference to the 20,000 political prisoners of the Franco regime who helped build the Valley of the Fallen between 1940 and 1959. "One must know the bad side of history, so as not to repeat it." The monument holds the remains of more than 30,000 victims from both sides of the civil war, which was triggered by Franco's rebellion against an elected Republican government. Franco dedicated the site to "all the fallen" of the conflict in an attempt at reconciliation, but only two graves are marked -- those of Franco and Jose Antonio Primo de Rivera, the founder of the fascist Falangist party. Both are covered with fresh flowers. Christian Espert, a 30-year-old soldier from the eastern region of Valencia wearing the football jersey of Spain's national team, poses for a picture at the site holding a red and yellow Spanish flag. He agrees that Franco's remains should be removed because "they can hurt the feelings of many people". Prime Minister Pedro Sanchez said his government wants to remove Franco from the site because "Spain can't allow symbols that divide Spaniards". But his plans quickly ran into opposition from Franco's family, which has refused to give permission for the exhumation. Some visitors to the site believe Franco's remains should remain because the monument is part of history. "This is the country's heritage and it should be respected," says Nevado, a 22-year-old law student from the southern city of Cordoba, who counts himself as a critic of Franco. Miguel Pintor, a 62-year-old public worker from Madrid agrees, saying he returned to visit the site because he was angered by the government's plans. "I don't think it hurts anyone," he says, adding Franco died more than 40 years ago and the civil war ended nearly 80 years ago. "The dead should be left in peace." 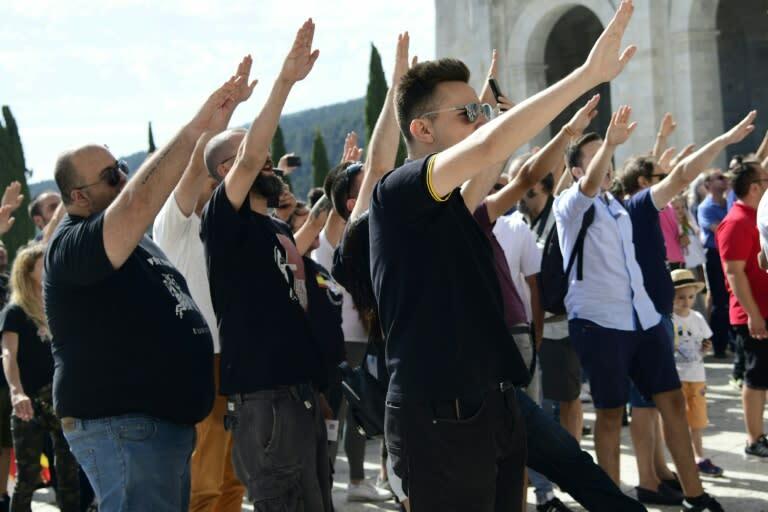 While the government's decision has been praised by associations representing the victims of Franco's regime, more than 1,000 people protested at the Valley of the Fallen last month after a far-right group called for a "pilgrimage" to prevent "the plunder" of his grave. In another sign of unrest about the decision, police said they are investigating five fires that were deliberately set on Monday within the grounds of the Valley of the Fallen.